Studio19 London, a UK based premium audio company, has forayed into the India market and launched its first premium audio product- Solo E500X-EQ. The USP of Solo E500X-EQ Hi-Fi Speaker are its Patented Dual Pressure Air Compression (DPAC) super-bass technology and Enhanced 360° Optimised Sound. The Solo E500X-EQ is priced at Rs. 42,500. 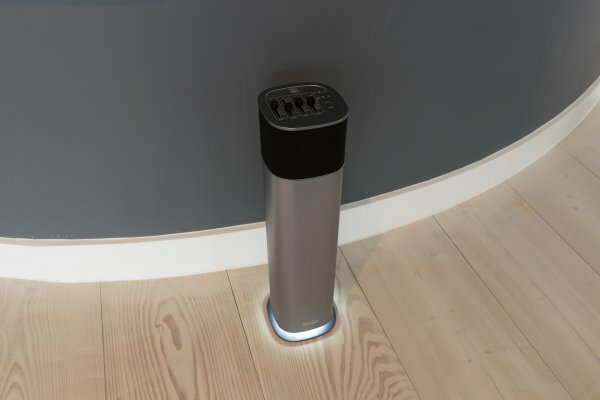 On the design front, the Solo E500X-EQ is a sleek finely coated stain steel speaker with light glowing underneath of it to give it a look of floating device on the floor. It is available in Space Grey and Gold colors. According to the company, the Solo is one of the world’s first “enhanced degree” patented 3D-effect portable Hi-Fi speakers. Unlike conventional 360° sound, Solo E500X-EQ’s Enhanced 360° Optimised Sound flows not only left to right but top to bottom. This creates an omnidirectional spread with wide, directional waves that circulate throughout the room, giving the authentic impression of a multi-speaker environment from a single speaker. Studio 19’s patented DPAC technology creates a bass sound that matches or surpasses the conventional subwoofer. With the Digital Power Station DPS technology, the listeners will experience added depth, clarity, bass definition, presence and enhanced stereo field imaging via the speakers. It also features a built-in professional EQ graphic equalizer, a digital sound enhancement that allows one to fine tune music even further. It enables ones to add more bass, mid-range or treble to get exactly the sound you want. This speaker can be connected via Bluetooth, AUX or HDMI. It also features TWS function (True Wireless Stereo) which automatically connect two Solo speakers wirelessly to each other working as dedicated left and right sound channels. The speaker is powered by a built-in battery which is claimed to last up to 4-6 hours. This product will be available on Amazon.in and select retail stores in Mumbai and Guwahati.